Campbell Mattison from The Wine Front has rated both of Steve Wiblin’s 2015 Rieslings at 93+ points. 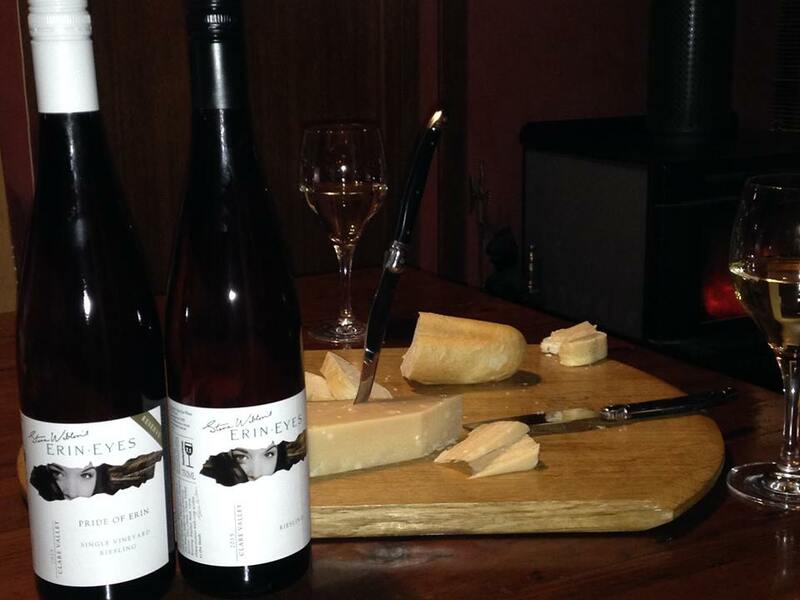 The wine is pitch perfect. Plenty of drive, thrust, acidity, flavour and length. Citrus, fennel seeds, blossomy notes, bath salts. It needs to settle, it’s been released slightly too young, but it’s on its way to a very good place. Excellent intensity. 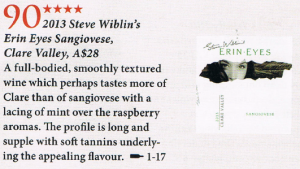 It has a softness but the flavours really kick. Lime, lemon, rind, juice. Steely. Long. Laden with ripe citrus. 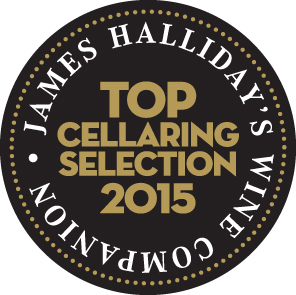 Pretty simple for now but the quality is impressive … and the drinkability. 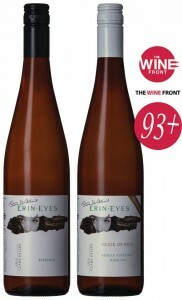 The James Halliday Australian Wine Companion has awarded 96 points to Steve Wiblin’s Erin Eyes 2015 Riesling. The James Halliday Australian Wine Companion has given Steve Wiblin’s Erin Eyes a 5 Star Rating for the 2016 Edition. To see James Halliday’s reviews of the current Erin Eyes wines head over to Facebook and while you are there ‘Like’ Steve Wiblin’s Erin Eyes Wines to stay up-to-date with the latest news, reviews and specials. 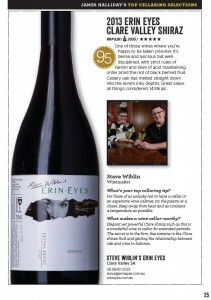 Independent wine writer Huon Hooke has reviewed the 2013 Erin Eyes Shiraz. 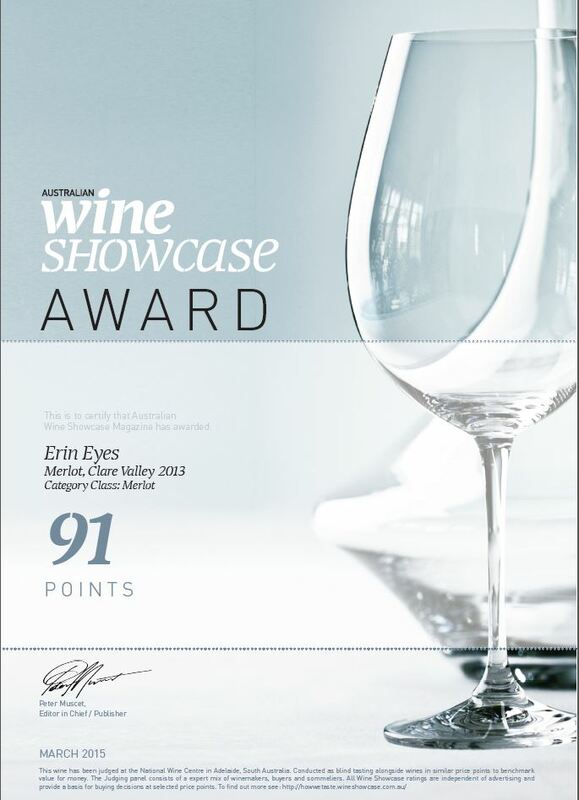 Awarded in March 2015, the Australian Wine Showcase Awards presented the 2013 Erin Eyes Merlot with 91 points and the 2013 Erin Eyes Cabernet Sauvignon with 94 points.